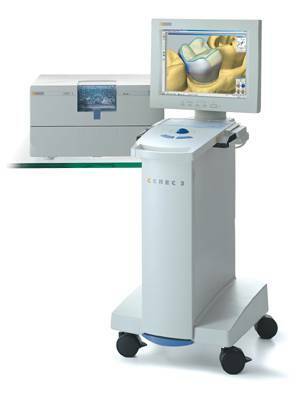 In 2004, the highest known modern medical technology has been introduced in Centre dentaire Serge Chaussé. Crafted in our own clinic with CEREC 3-D’s new software and computer-controlled milling system, new white ceramic restorations are attractive, comfortable and durable. They can last over 40 years. During the same visit, we will get rid of your former restoration. Right under your eyes, you will have a new computer-engineered crown or 3D inlay. You can also witness how your new tooth is made with robotized diamonds before it is permanently cemented into your mouth. Made out of highly biocompatible particles of silica, CEREC crowns and inlays are recommended to strengthen decayed or restored teeth. 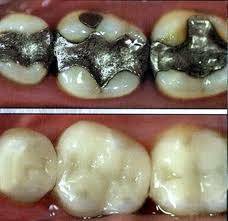 With a coefficient of hardness three times as high as natural teeth, these crowns last longer and do not impair or damage opposing teeth. As a miracle of precision, the interface sealing is about 50 microns, which is impossible to achieve with traditional lab technologies. The prices are about the same for inlays and lab-crafted crowns. Furthermore, since you will only have to come at the clinic once, you will save on time and money. Learn more about CEREC 3-D ceramic restorations upon your next visit.